Lauma Zusevics, née Lagzdins, was born on July 3rd, 1954 in Cleveland, Ohio, the United States of America. She graduated from Cleveland State University in 1976 with a Bachelor of Arts in Religious Studies and Languages. Lauma received the Danforth Scholarship and continued her studies at Yale University, from which she received a Master of Arts in Religious Studies specializing in New Testament exegesis and history. In 1980, she earned a Master of Philosophy degree in Religious Studies from Yale. She was ordained by the archbishop of the Latvian Evangelical Lutheran Church Abroad (LELBAL), Arnolds Lusis on June 4th, 1978. Lauma has focused her work on youth and children. She worked as a Sunday school teacher at the United Latvian Evangelical Lutheran Church of Cleveland, was counselor and program director at the Latvian summer high schools Kursa, Beverina, and Garezers, program director at Garezers middle school, Catskills Camp, Saulaine and Garezers children's camps and several 3x3 camps. Lauma has taught at the Milwaukee Colonel Oskars Kalpaks Latvian School for 29 years. She also taught at the Saulgriezi high school in Latvia for one summer. She continues to teach at the Latvian CenterGarezers. After the death of Osvalds Gulbis in 1979, the New York Latvian Evangelical Lutheran Congregation was seeking to find a pastor for its Long Island region. On February 10, 1980 Lauma was elected to serve here. Her duties included tending to the Long Island community, as well as teaching at Long Island schools and at the congregation's property Catskills. Archbishop Arnolds Lusis inaugurated Lauma's pastoral service on September 7th, 1980 at the Long Island Church. Lauma married architect Ivars Zusevics on July 12, 1980. They have two daughters, Zile and Kaija. The family has been blessed with two grandsons Paul and Nikolay (sons of Zile and Karlis Rudzitis). Lauma forged new paths towards attracting youth to the church. While at Long Island, together with pastor Juris Calitis Lauma organized youth courses at the Catskills property and confirmand retreats in Boston and on Long Island. Lauma preached at American Latvian Youth Association (ALJA) congresses, worked as LELBA Youth Ministry leader and wrote articles in periodicals. In her current position as President of LELBA, Lauma has preached at a number of LELBA synods, at the Hamilton Latvian Song and Dance Festival and has commenced American Latvian Association and the Latvian relief fund Daugavas Vanagi meetings and conferences. 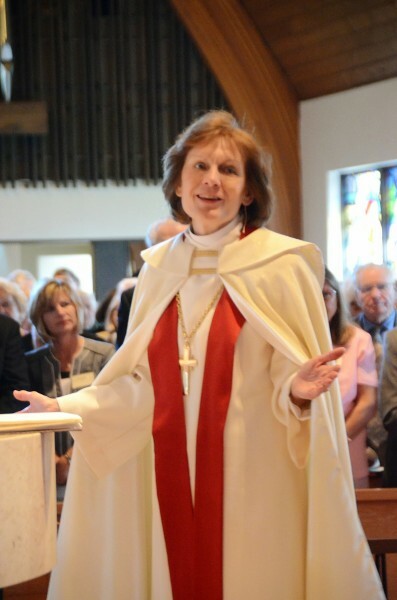 Due to her spouse's work obligations, Lauma left the New York Latvian Evangelical Lutheran Congregation, Long Island in 1984 and relocated to Chicago, Illinois. There she continued to head LELBA's Youth Ministry and led LELBA Midwest District worship services. She also worked at Garezerssummer school every year. In 1985 she accepted the position of pastor of the Saint John Latvian Evangelical Lutheran congregation in Milwaukee, Wisconsin. In 1987, the three existing Latvian Lutheran churches of Milwaukee consolidated to become the Latvian Evangelical Holy Trinity Church in Milwaukee, headed by Lauma. From 1990 to 1993, Lauma directed LELBA's Sunday School and Christian Parenting Ministry. During this time, she was on the LELBA Board of Directors, visited Latvia and sustained contact with sister congregations and with theology students from the University of Latvia. With help from her parish she published the book Vismazākiem Kristus bērniem (For God's Smallest Children). During the LELBA Midwest District conference in October, 1995, Lauma was elected LELBA Vice-President, Religious Matters. Archbishop Elmars Ernsts Rozitis initiated Lauma as dean in February of 1996. She was elected Vice-President of LELBA again in 1998. In 2001 Lauma did not run for Vice-Presidency. Instead, she focused on work in LELBA Youth Ministry. Lauma has continued her theology education in Milwaukee. She hopes to study again at Yale and earn a Doctor of Philosophy degree in New Testament studies. At LELBA's synod in Milwaukee in 2005, and again in 2008 in Washington and 2011 in Indianapolis Lauma was elected President. In 2005, LELBAL appointed her to its board of directors as vice-president of religious matters. To date, Lauma continues her role as President of LELBA, as well as pastor of the Latvian Evangelical Holy Trinity Church in Milwaukee. She is also pastor of the Latvian Evangelical Lutheran congregations in Fond du Lac and Wisconsin Rapids. Lauma has participated in synods held by the Latvian Evangelical Lutheran Church (LELB). She took part in the Lutheran World Federation assembly in Stuttgart, Germany in 2010. On April 19th of 2015 Lauma was consecrated as Archbishop of Latvian Evangelical Lutheran Church Abroad.